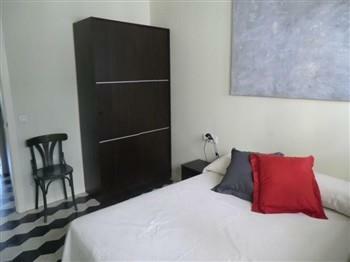 Tourist apartment in Girona with views of the river and Old Quarter! Apartment in Girona for families with incredible views over the river and the Rambla. It is a fully renovated apartment that retains the most characteristic features of its original style, such as mosaic floors. The apartment is located on a third floor with an elevator on Santa Clara Street. This is a street with a lot of weekly activity but still quiet and familiar, with little traffic and attractive shops. Limitated with Plaça Catalunya on one side and the Plaza de la Independencia on the other, you will have direct access to the most popular restaurants, shops, bars and terraces in the city.